An excellent starting point for Mississippi genealogy. Free Mississippi Genealogy Data and Links. Adams County, Mississippi Genealogy and History Resource Links. Alcorn County, Mississippi Genealogy and History Resource Links. Amite County, Mississippi Genealogy and History Resource Links. Mississippi Genealogy and History Resource Links. Attala County, Mississippi Genealogy and History Resource Links. Benton County, Mississippi Genealogy and History Resource Links. Bolivar County, Mississippi Genealogy and History Resource Links. Calhoun County, Mississippi Genealogy and History Resource Links. Carroll County, Mississippi Genealogy and History Resource Links. Chickasaw County, Mississippi Genealogy and History Resource Links. Choctaw County, Mississippi Genealogy and History Resource Links. Claiborne County, Mississippi Genealogy and History Resource Links. Clarke County, Mississippi Genealogy and History Resource Links. Clay County, Mississippi Genealogy and History Resource Links. Coahoma County, Mississippi Genealogy and History Resource Links. Copiah County, Mississippi Genealogy and History Resource Links. Covington County, Mississippi Genealogy and History Resource Links. DeSoto County, Mississippi Genealogy and History Resource Links. Forrest County, Mississippi Genealogy and History Resource Links. Franklin County, Mississippi Genealogy and History Resource Links. The Mississippi state project of Genealogy Trails. The Mississippi state project of Genealogy.com. Mississippi Newspapers, Obits, and more. The Mississippi state project of GenealogyBuff.com. George County, Mississippi Genealogy and History Resource Links. Greene County, Mississippi Genealogy and History Resource Links. Grenada County, Mississippi Genealogy and History Resource Links. Hancock County, Mississippi Genealogy and History Resource Links. Harrison County, Mississippi Genealogy and History Resource Links. Hinds County, Mississippi Genealogy and History Resource Links. Holmes County, Mississippi Genealogy and History Resource Links. Humphreys County, Mississippi Genealogy and History Resource Links. Issaquena County, Mississippi Genealogy and History Resource Links. Itawamba County, Mississippi Genealogy and History Resource Links. Jackson County, Mississippi Genealogy and History Resource Links. Jasper County, Mississippi Genealogy and History Resource Links. 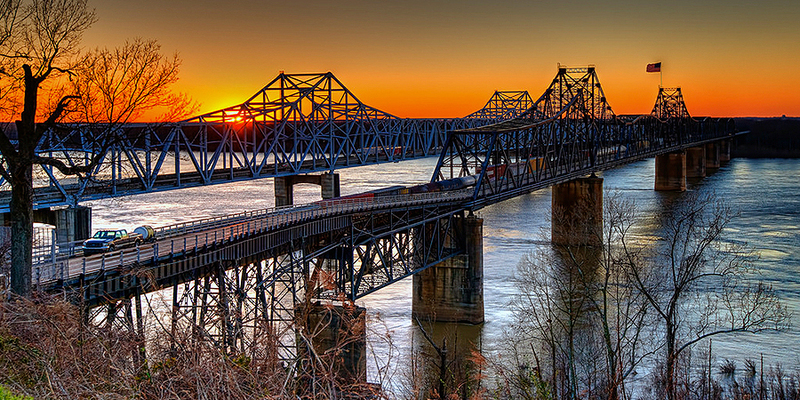 Jefferson County, Mississippi Genealogy and History Resource Links. Jefferson Davis County, Mississippi Genealogy and History Resource Links. Jones County, Mississippi Genealogy and History Resource Links. Kemper County, Mississippi Genealogy and History Resource Links. Lafayette County, Mississippi Genealogy and History Resource Links. Lamar County, Mississippi Genealogy and History Resource Links. Lauderdale County, Mississippi Genealogy and History Resource Links. Lawrence County, Mississippi Genealogy and History Resource Links. Leake County, Mississippi Genealogy and History Resource Links. Lee County, Mississippi Genealogy and History Resource Links. Leflore County, Mississippi Genealogy and History Resource Links. Lincoln County, Mississippi Genealogy and History Resource Links. Mississippi genealogy and family history. Mississippi Genealogy Links and Chat Room. Lowndes County, Mississippi Genealogy and History Resource Links. Madison County, Mississippi Genealogy and History Resource Links. Marion County, Mississippi Genealogy and History Resource Links. Marshall County, Mississippi Genealogy and History Resource Links. Search for Mississippi ancestors using this interactive directory of the best free genealogy search engines. Mississippi state project of the USGenWeb. Monroe County, Mississippi Genealogy and History Resource Links. Montgomery County, Mississippi Genealogy and History Resource Links. Neshoba County, Mississippi Genealogy and History Resource Links. Newton County, Mississippi Genealogy and History Resource Links. Noxubee County, Mississippi Genealogy and History Resource Links. Oktibbeha County, Mississippi Genealogy and History Resource Links. Mississippi genealogy resources form the Olive Tree Genealogy. Panola County, Mississippi Genealogy and History Resource Links. Pearl River County, Mississippi Genealogy and History Resource Links. Perry County, Mississippi Genealogy and History Resource Links. Pike County, Mississippi Genealogy and History Resource Links. Pontotoc County, Mississippi Genealogy and History Resource Links. Prentiss County, Mississippi Genealogy and History Resource Links. Quitman County, Mississippi Genealogy and History Resource Links. Rankin County, Mississippi Genealogy and History Resource Links. Scott County, Mississippi Genealogy and History Resource Links. Sharkey County, Mississippi Genealogy and History Resource Links. Simpson County, Mississippi Genealogy and History Resource Links. Smith County, Mississippi Genealogy and History Resource Links. Genealogy reasources for the southeastern United States, including Mississippi. Stone County, Mississippi Genealogy and History Resource Links. Sunflower County, Mississippi Genealogy and History Resource Links. Surname search engine to aid in genealogical research in America. Tallahatchie County, Mississippi Genealogy and History Resource Links. Tate County, Mississippi Genealogy and History Resource Links. Tippah County, Mississippi Genealogy and History Resource Links. Tishomingo County, Mississippi Genealogy and History Resource Links. Tunica County, Mississippi Genealogy and History Resource Links. Union County, Mississippi Genealogy and History Resource Links. Mississippi resource links from RootsWeb. Walthall County, Mississippi Genealogy and History Resource Links. Warren County, Mississippi Genealogy and History Resource Links. Washington County, Mississippi Genealogy and History Resource Links. Wayne County, Mississippi Genealogy and History Resource Links. Webster County, Mississippi Genealogy and History Resource Links. Wilkinson County, Mississippi Genealogy and History Resource Links. Winston County, Mississippi Genealogy and History Resource Links. Includes vital records and newspapers. Yalobusha County, Mississippi Genealogy and History Resource Links. Yazoo County, Mississippi Genealogy and History Resource Links.